Is Coast region a Jubilee Zone? Sources say JAP officials ferried people across the region to impress the President. - Bana Kenya News, Real African Network Tubanane. Home featured Mombasa Is Coast region a Jubilee Zone? Sources say JAP officials ferried people across the region to impress the President. Is Coast region a Jubilee Zone? Sources say JAP officials ferried people across the region to impress the President. The rally that happened at Tononoka grounds shows how the region has drastically turned to being a JAP zone. According to the deputy president William Ruto, the rally that happened at the Tononoka grounds shows how the region has metamorphosised. People who defected from Other parties to Jubilee include the Tana River governor Hussein Dado, Kilifi deputy Governor Kennedy Kamto, Taita Taveta women representative Joyce Wanjala Lay and Kilifi Senate aspirant Kennedy Nyale. The massive defection from other parties shows how the party has now become popular at the coast. According to our sources, the Mombasa residents who attended the function was below 20%. It was discovered that people were ferried from Kwale county, a courtesy of Kwale governor Salim Mvurya, others from Tana River and Lamu. 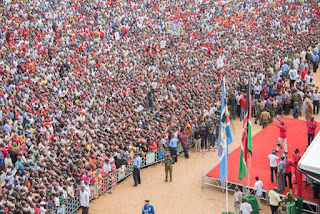 The Majority of the people attended the wiper rally at Karisa Maitha stadium in Kilifi. Ferry people from one corner to the other is now a business of the politicians who pay the audience to impress their bosses. " I was taken to Rabai today to attend the Kilifi Governor Amason Kingi and I was paid Ksh.500 with free transport and food. Mine was only to cheer up the governor, Just that for Ksh. 500." Says Mwaruwa Nickson from Chumani. 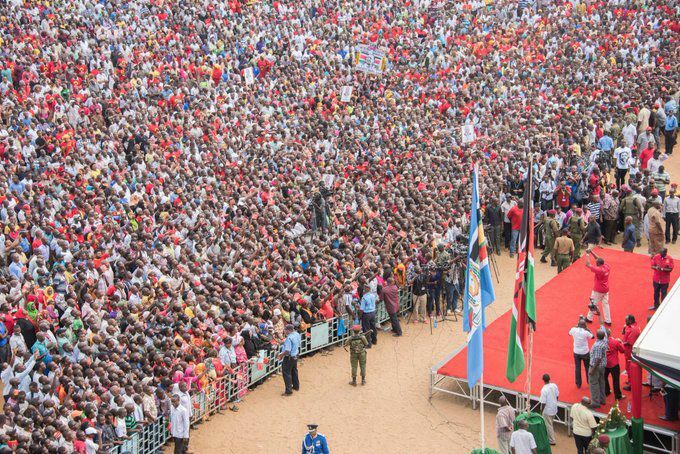 On the ground, our sources also revealed that the region is still a NASA zone but what people see on the rallies is only to get something and also to impress the visitors. Some of the people said that all people who defected from other parties and joined Jubilee will all go home in the coming elections. The first Aspirant who will go home very early in the Morning during the elections is the Kilifi gubernatorial aspirant Gideon Mung'aro, followed by the Mombasa aspirant who defected from wiper to jubilee, businessman Suleiman Shahbaal. It is all from the ground, the political heat is still being generated and soon the temperatures will be known as the favourite candidate.